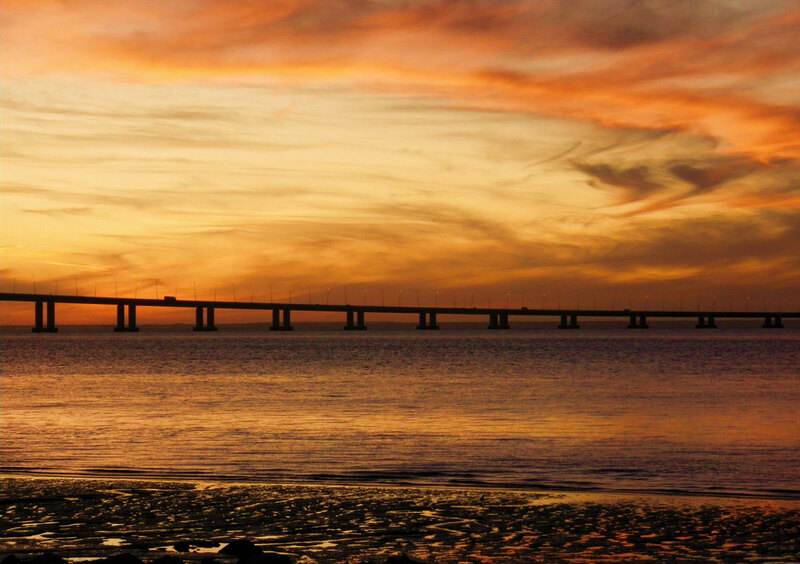 Completed in 1998 the Vasco da Gama Bridge is the longest bridge in Europe. It stretches around 1 km (11 mi) across the Tagus River in Lisbon joining Sacavém on the Lisbon side to Alcochete. Most of the bridge is supported on pillars like the ones photographed here. However there is a suspended section that rises over 150 m (450ft) above the water to allow ships to pass under.